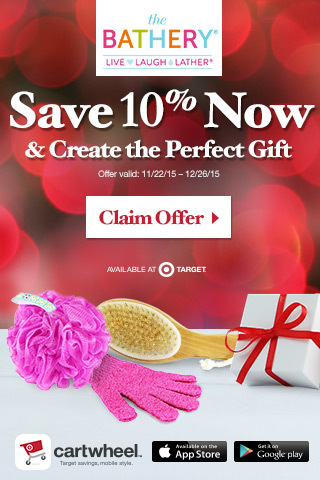 Give Your Gifts A Personal Touch with The Bathery from Target. It’s the most beautiful time of the year – the time for giving! And most times, the best gifts come from the heart. That’s why DIY has become so popular over the years, because it allows you to personally craft the perfect gift for your friend or loved one, tailored specifically to their interests and taste. One of my favorite areas of Target is The Bathery; with so many fabulous items in this specialty bath aisle, you’re sure to find the perfect spa goodies to put together an amazing one-of-a-kind gift this holiday season. 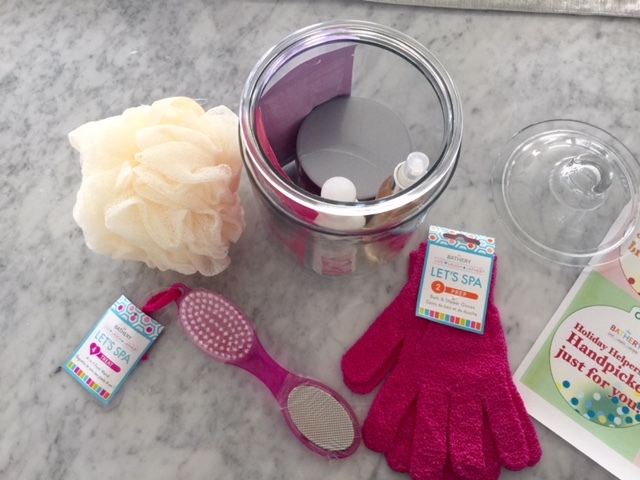 I found so many great things to include in this special gift: a luxurious exfoliating pouf, 2 peel-off facial masks, bath and shower gloves, a sweetly-scented sugar scrub, matching body spray and lotion plus a multi-purpose pumice/brush/callous smoother for at-home pedicures. 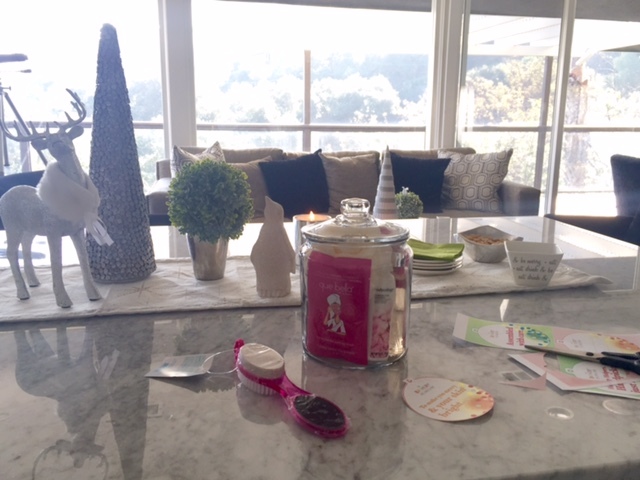 It was great to find everything I needed to create this pampering gift at my local Target. 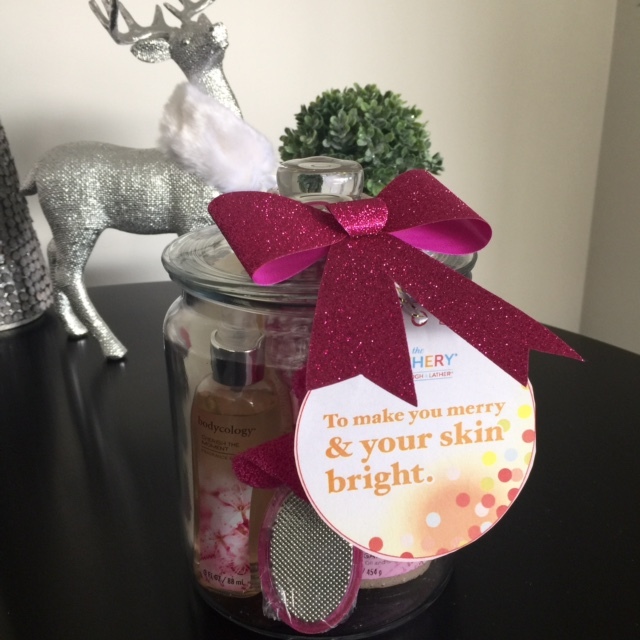 Putting it together was super easy; once I chose the perfect bath products I decided that a pretty glass canister would be a great way to turn them in to a fabulous gift. I love the way this holiday DIY turned out! It’s so easy and fun to make a gift like this for your friends and family. This year, deliver a DIY gift that you haven’t done before. 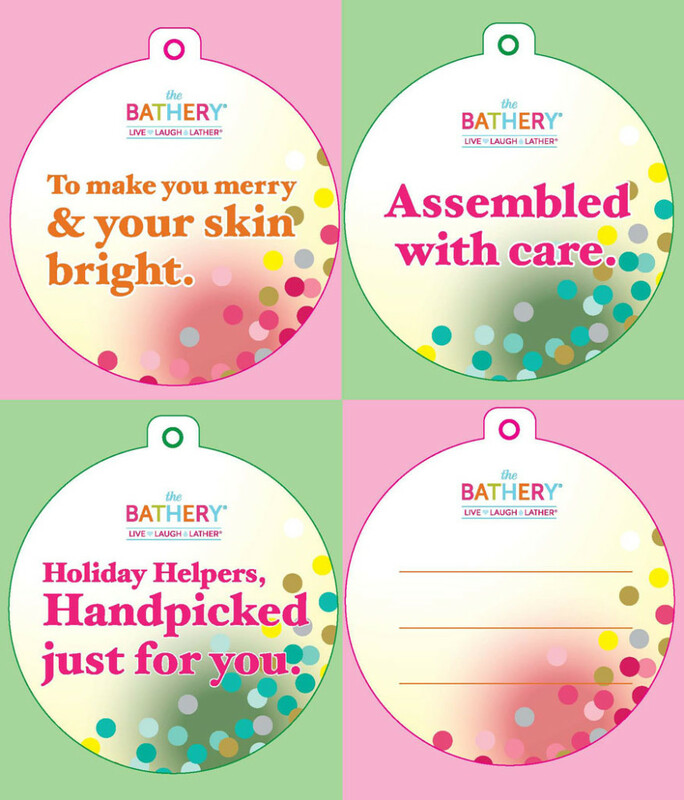 Head into the specialty bath aisle at your nearest Target and discover how, with a few items from The Bathery, you can once again put that personal touch on this year’s gifts—and encourage everyone on your list to Live Laugh Lather this holiday season. 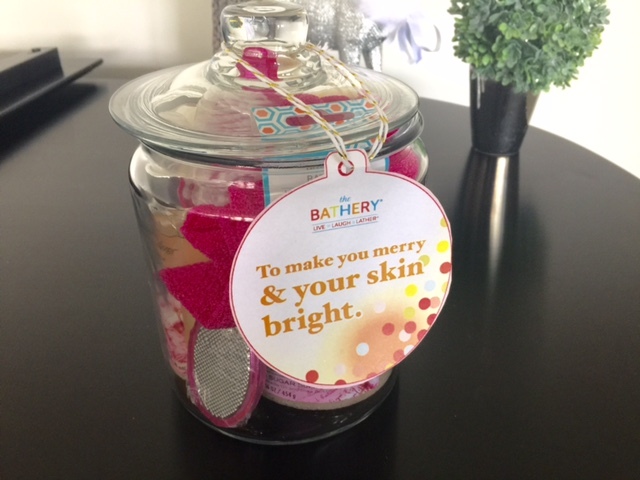 To celebrate my collaboration with Target and The Bathery, we’re offering a ReTweet to Win Giveaway! 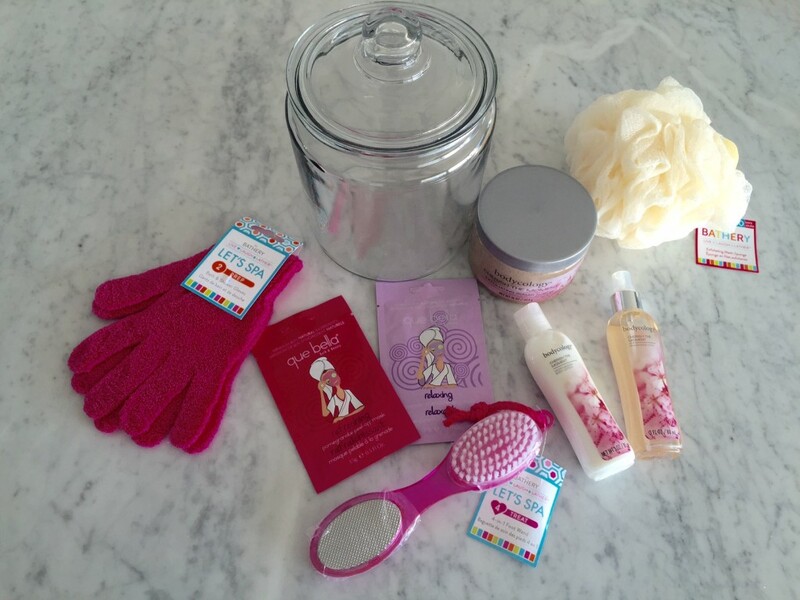 For a chance to win, simply share which products from The Bathery you would include in your own DIY gift set by using the hashtag #DIYTheBathery. Full rules available here: The Bathery x Currently Crushing giveaway rules.